Australia Government Loses Parliamentary Majority - Integration Through Media ....! (VOA): Australia’s center-right government has lost its one-seat majority in parliament following a defeat in a by-election in Sydney. The ballot was prompted by the removal of Malcolm Turnbull as prime minister in a party room coup. The defeat of the governing Liberal party candidate is seen by analysts as an act of retribution by Sydney voters furious at the way their former member of parliament, Malcolm Turnbull, was ousted as prime minister. He was forced out by government colleagues in August, and he then resigned as lawmaker. For the first time ever the seat of the Wentworth electoral district is not in conservative hands. It will be represented by Kerryn Phelps, a local doctor and prominent gay rights campaigner. She accused the government of ignoring voters and of doing too little to address the impact of climate change. She was given little of chance of winning when the campaign began, but she is savoring her famous achievement. “People have been concerned about the direction of the government for a very long time and we have seen a lack of decency, a lack of integrity, and we really need to go back to looking at what the House of Representatives is all about. It is about representing the people and the people have spoken loud and clear,” Phelps said. The Wentworth vote represents the biggest by-election swing against a federal government ever recorded in Australia. It strips the center-right Prime Minister Scott Morrison of his narrow one-seat parliamentary majority in the lower house of parliament. He accepted blame for the defeat but says he will fight on. “The result today is on us, the Liberals. But leadership requires you to turn up on the tough days and the good days, and that is what you will always get from me as the leader as the leader of the Liberal Party,” Morrison said. 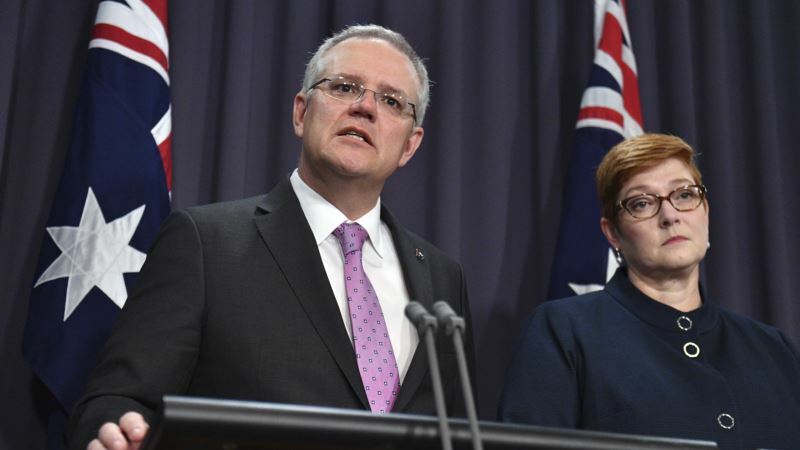 The Morrison government will probably survive for now with the support of independent MPs but with a federal election due next May its longer-term prospects appear grim. There is speculation that the government’s grip on power is so tenuous that an early poll is considered in certain quarters to be inevitable.